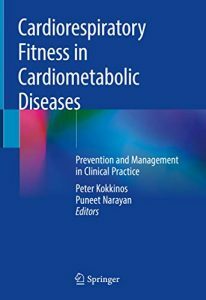 This book examines the links between physical activity (PA), cardiorespiratory fitness (CRF), and cardiovascular and metabolic diseases. It presents an overview of the role of PA and CRF in the prevention and management of risk factors associated with cardiometabolic diseases such as hypertension, peripheral vascular disease, stroke, type 2 diabetes, metabolic syndrome, dyslipidemia, obesity, and atherosclerosis. In addition, it explores how these risks vary with different populations such as the elderly and people of various racial backgrounds. The book also highlights risks associated with exercise and presents a prescription for appropriate and efficacious exercise to minimize risk and maximize health benefits for the heart. 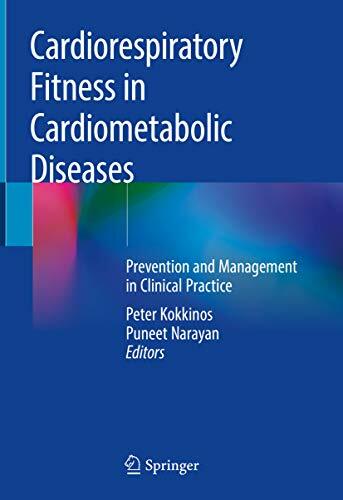 Cardiorespiratory Fitness in Prevention and Management of Cardiometabolic Disease is an essential resource for physicians, exercise physiologists, medical students, residents, fellows, nurses, and researchers in cardiology, cardiorespiratory fitness, exercise science, health promotion and disease prevention, public health, and epidemiology. The field of invasive and interventional cardiology is dynamic with frequent advances in both technique and technology. 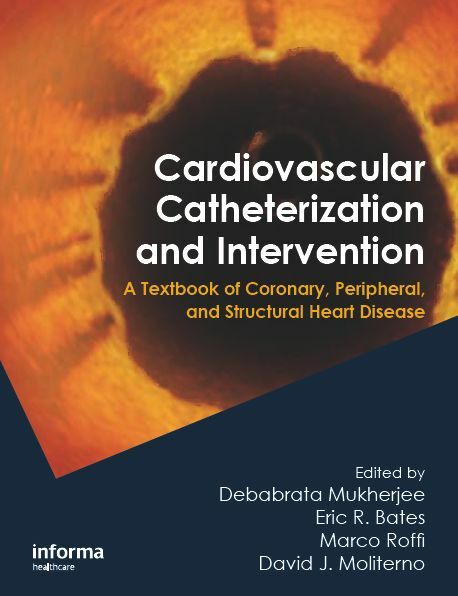 An internationally-renowned team of editors and over 100 contributors have shaped this textbook to provide clinicians with a thorough guide that covers the procedural and peri-procedural aspects of coronary, peripheral, and structural heart disease diagnostics and interventions. • Practical suggestions on how to set up a cardiovascular catheterization laboratory, choose the right equipment and minimize radiation exposure. • A careful analysis of the general principles of percutaneous coronary interventions, the specific knowledge needed in different clinical scenarios, as well as the patient selection criteria for each invasive procedure. 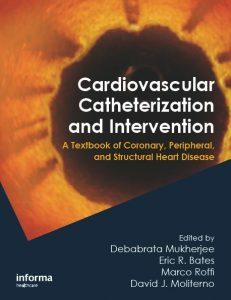 • In-depth coverage of non-coronary interventions, including 13 chapters on peripheral vascular interventions, including carotid artery stenting, as well as newer procedures for intracranial stenosis treatment, septal defect repair, and left atrial appendage closure. • An incorporation of emerging procedures in structural heart disease, such as percutaneous aortic valve replacement and mitral valve repair—that although not presently mainstream, will likely become an important domain of interventional cardiologists. Given the importance of appropriate training and credentialing for clinicians, the textbook also includes current national guidelines and policies on the performance of the various procedures. 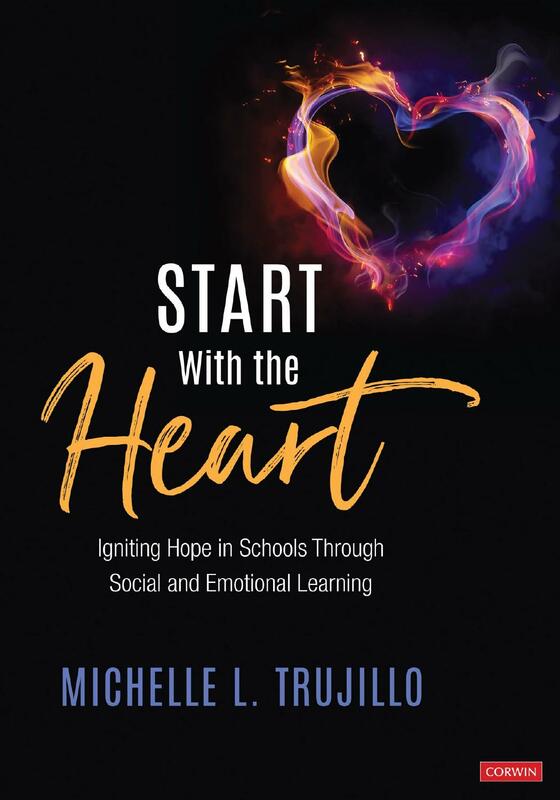 In this easy-to-read, inspiring book, educational consultant and former high school principal Michelle Trujillo shows how positive school culture is anchored in social and emotional learning as a way of being. 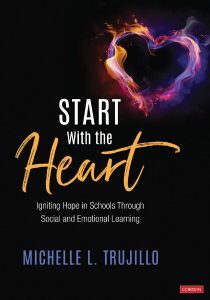 She guides educators to explore their own SEL aptitudes, inspires schoolwide investment in a philosophy of connection, and offers ample tools, strategies, and solutions for integrating five SEL competencies into schools. Jumpstart conscientious connections in your school community and create a foundation for trust that allows students and educators to feel appreciated, effective, and productive. The nanosciences are a rapidly expanding field of research with applicability to all areas of health and disease prevention, including cardiology in its broadest sense. This book covers a variety of nano subjects and areas as applied to the heart and circulatory system. 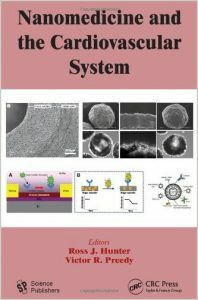 There are state-of-the-art chapters on nanoparticles, nanowires, nanoscale topography, nanosensors, nanospheres, nanospin probes, nanomatrices and nanobubbles to name but a few topics. Their applications to cardiovascular disorders and their treatments are also described. Sudden cardiac death is the leading cause of non-traumatic mortality in young (<35 years old) athletes, with recent data suggesting the incidence to be higher than what was previously estimated. The vast majority of deaths are caused by silent hereditary or congenital cardiac disorders. 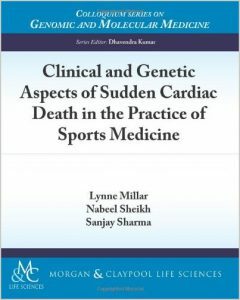 Over the last decade, advances in our understanding of both the genetic and clinical mechanisms underlying these conditions, particularly those associated with a structurally normal heart, have led to advances in diagnosis and management including interventions and lifestyle modifications that aim to minimize the risk of sudden cardiac death (SDC). Coupled with effective screening programs, other strategies such as emergency response planning and the use of automated external defibrillators have also emerged as strategies in preventing and treating sudden cardiac arrest. Thomas Cowan was a 20-year-old Duke grad―bright, skeptical, and already disillusioned with industrial capitalism―when he joined the Peace Corps in the mid-1970s for a two-year tour in Swaziland. There, he encountered the work of Rudolf Steiner and Weston A. Price―two men whose ideas would fascinate and challenge him for decades to come. Both drawn to the art of healing and repelled by the way medicine was―and continues to be―practiced in the United States, Cowan returned from Swaziland, went to medical school, and established a practice in New Hampshire and, later, San Francisco. For years, as he raised his three children, suffered the setback of divorce, and struggled with a heart condition, he remained intrigued by the work of Price and Steiner and, in particular, with Steiner’s provocative claim that the heart is not a pump. Determined to practice medicine in a way that promoted healing rather than compounded ailments, Cowan dedicated himself to understanding whether Steiner’s claim could possibly be true. And if Steiner was correct, what, then, is the heart? What is its true role in the human body? 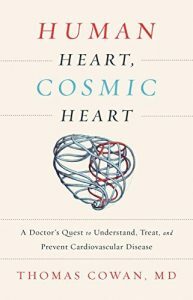 In this deeply personal, rigorous, and riveting account, Dr. Cowan offers up a daring claim: Not only was Steiner correct that the heart is not a pump, but our understanding of heart disease―with its origins in the blood vessels―is completely wrong. And this gross misunderstanding, with its attendant medications and risky surgeries, is the reason heart disease remains the most common cause of death worldwide. 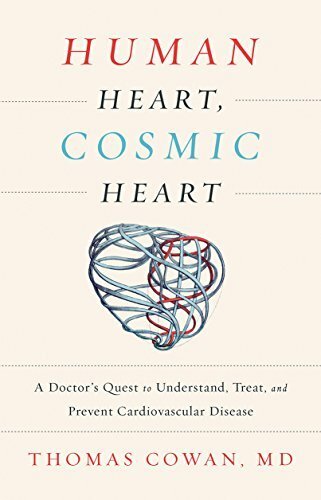 In Human Heart, Cosmic Heart, Dr. Thomas Cowan presents a new way of understanding the body’s most central organ. He offers a new look at what it means to be human and how we can best care for ourselves―and one another. 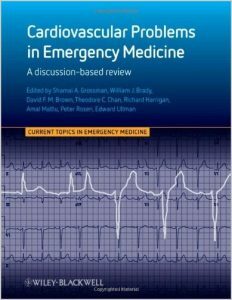 Cardiovascular Problems in Emergency Medicine takes you on rounds with the leading teachers of emergency medicine. Transcripts of in-depth telephone conferences on 27 real-life cardiovascular cases provide a unique and fascinating insight into the way complex cases are diagnosed and managed by some of the most experienced and respected practitioners in the field. Each chapter is then complemented by an authoritative, fully-referenced review of the current literature on the topic. 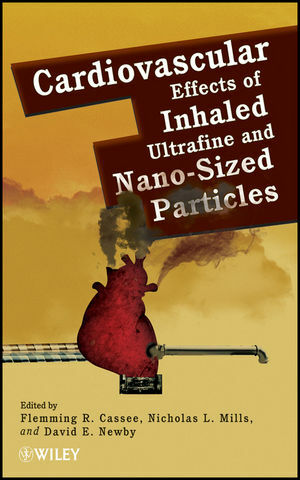 This book assists scientists, toxicologists, clinicians, and public health regulators to understand the complex issues that determine the impact of air pollution on the cardiovascular system. It covers a range of relevant topics including particulate matter (PM) sources and characterization, methods of exposure, impact of PM on cells and systems, role of particles in the pathophysiology of cardiovascular disease, risk assessment, and potential environmental and therapeutic interventions. Foetal cardiology has developed dramatically into a subspecialty in the past 25 years. The majority of people examining the foetal heart are not ‘experts’ in foetal cardiology and therefore find interpreting images, particularly in case of abnormality, rather difficult. 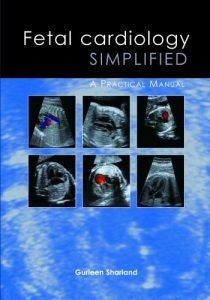 This book is designed as a practical guide, to be kept near the ultrasound machine, for all those performing foetal heart scans, but without the expertise of a foetal cardiologist. The aim is to allow the user to recognise the common forms of foetal cardiac abnormality and to appreciate the associated lesions and outcome. The book has a large number of illustrations to enable the reader to visualise the different types of problem and the various forms in which they may manifest. 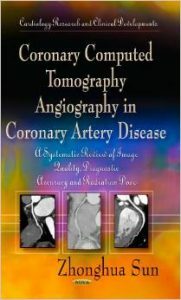 There are relatively few books published in the field of foetal cardiology. Whilst there is a place for large textbooks covering all aspects of foetal cardiology in detail, most people performing the foetal heart scan need an idiot’s guide about the normal foetal heart and the common things that go wrong with it. 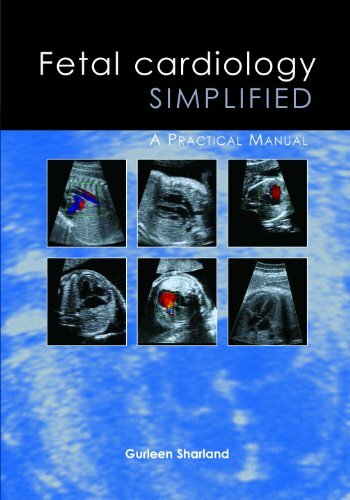 This book is aimed at all sonographers, obstetricians and radiologists performing obstetric ultrasound scans and at paediatric cardiologists, both at consultant and trainee level. Thus, this book should fulfil this unmet need in the market, although it is not designed as a comprehensive reference textbook in foetal cardiology. Coronary artery disease is the leading cause of death in the developed countries of the world and it is becoming increasingly common in the developing world. Conventional invasive coronary angiography currently remains the gold standard for the evaluation of patients with known or suspected coronary artery disease. Limitations of the modality include its invasiveness, expense and time consumption, with small but substantial procedure-related complications. In recent years, systematic reviews and meta-analyses of the diagnostic value of coronary CT angiography are increasingly being used to measure the progress and innovations in the diagnostic management of patients with suspected coronary artery disease. This book provides an overview of the scientific methods used to search, analyse, appraise and synthesize studies on coronary CT angiography.